I cut the line of dead people, but they didn't seem to mind. I guess in the Underworld you're VIP if you're the kid of Hades. * few minutes later, talking to Hades* "... And Hera knocked down this huge statue and it hit me..."
Location : The Big Hole, Sparta. Right after your talk with hades, when you were out walking around to let him sink in the info, an arrow HIT you! Luckily, it was only your shirt! It pinned you to the wall! The next thing you know there is a lady stnading next to you! She said "WHY" "I finally get an actual dead person and the person is never afraid!" "I hate this place" "I hit statues every time!" "I rarely ever see dead people and it is so fun to just pin them and watch them scream BUT NO!" worthy of a gods battle! Funny. Know who you're talking to? *puts hands on hips and takes of shades* I'm Ciara, the daughter of Hades. And a snap of my fingers, and a whole army will be in your face, with big guns and sharp blades. *mock baby voice* Now, we wouldn't want that, would we? DO you know who YOU are talking to. well I dont know who I am but I take one shot and your army is GONE! I shoot dead people for FUN! I didnt know you were alive anyways so just backoff! grabs arrow! *man looking to be in early twenties walks up to you*hey, can't help but noticing you two... did you happen to know Johnathan Hermeya? *turns around whith blade of grass pointing at the new man and the bow ready to fire at ciara in the other* says to man"what NOW! I have never heard of johnathan at the most I shot him with this bow if he died already!" *notices how he looks*"wait a minute are you dead!" *points bow at him then thinks other wise and lowers both weapons* "I am haley reaper of dead people escaped from a orphanage car when I was 1 day old! I have A dead center bow accuracy TELL me! WHERE johnathan MIGHT be and I will most likly not make you have the irritating feeling of a arrow going thorugh your dead body! trust me it does NOT feel good! It wont kill you being you are already dead and The only other time I spare people is if they are good enough to be in asphodel (OOC if that is how you spell it lol now IC)! you do not look like that kind of person! well, I was quite criminal in my time... well, I don't really care so I can say he is in Camp Half-Blood. son of Hermes. "What in the world is camp half blood?" "Oh I mean WHAT IN THE WORLD IS CAMP HALF BLOOD"! 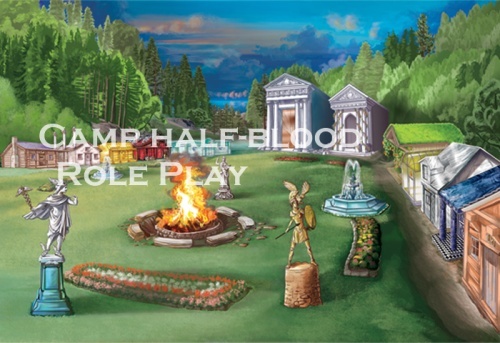 "Tell ME "
camp for half bloods. in new york. "okay oviously the voice is not scaring you but, whatever!" "Anyways, what are half boods or was it blood?" "Oh, and half mortal!" "Well I guess it would happen a lot!" "So would I be one I mean I am awesome at the bow"
"Well, why don't you look through some magic ball or something?" "What do you mean HMM it is a GREAT idea"
sure. well, ANYthing that could get me out of here I would call a good idea... it would be cool if I were younger again too so I wouldn't be too obvious in the crime world... just thieving, you know. "What if I said I could get you out of here if you promised not to do theft!" "You would still be dead though"! no thieving... I'll still be dead... PLEASE ERASE THE CONDITIONS! "I am already trying to help you and I don't know HOW to not have you dead!" "I can not have you not thief because you will be dead and I am already risking a lot THIS is a daughter of HADES! oh, so it'll just be a visit! I can't go about my whole life dead you know! I can't wait to see one of George Harrison's concerts! HE'S not dead. or is he?